How Much Does it Cost to Install an Alarm System in a House on Average? It costs nothing to install an Alarm System in a house on average. Alarm Systems can be self-installed so that a user will not have to pay a professional installer to complete the process. With the right equipment, it is possible to install a complete system with no tools being needed. The four main costs associated with an alarm system are the price of equipment, the monthly monitoring fee, installation fees and additional fees. Alarm Grid has no additional fees, so that can be taken out of the equation entirely with our company. However, other companies may charge customers for things like activating their service or moving their service to a different location. Alarm Grid customers will never have to worry about additional fees. With Alarm Grid, the price you see is exactly what you get. Next is installation fees. Again, Alarm Grid does not charge installation fees. As a DIY company, we do not roll any trucks, and we do not send out any technicians to a customer's home or business. All support is provided, for free, online and over the phone. A customer may pay a third-party professional installer to complete the installation if they choose to do so. In that case, the customer would pay whatever the Installer charges for the service. 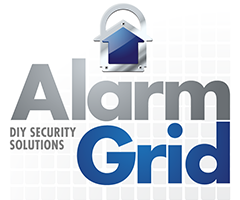 Alarm Grid is not directly associated with any installers, so these costs are out of our control. But these fees typically range from hundreds to even thousands of dollars, depending upon the intricacy of the installation. Likewise, another security company may send out a technician to the customer's home or business and charge them hundreds to thousands of dollars to install their alarm system. But Alarm Grid does not do this. However, having someone else install a system is usually unnecessary. Most wireless systems can be easily installed and programmed by end users, with only minor phone support being needed. To make the process even easier, a customer can get a wireless system, along with a desk mount and wireless sensors. The system can be rested on a desk or a table, and the sensors can be mounted using doubled-sided foam tape, which often comes included with sensors. This will eliminate the need for using any tools and drilling holes. So if a customer wants to go with a different alarm monitoring company and pay hundreds to thousands of dollars for installation, along with added fees, they are certainly free to do so. Or, they can go with Alarm Grid and pay zero installation fees and zero additional fees. With Alarm Grid, the only costs are the price of the equipment and the monthly monitoring fee. We wrote a recent blog post that outlines these costs. Also, our Alarm Monitoring Page explains our monitoring plans in-depth. We believe that the costs we charge for monitoring are very fair based on the level of service we provide. But when it comes to actual installation costs, an Alarm Grid customer can expect to pay nothing, provided that the proper equipment is used.